Hey Guys, I hope you are loving this blog on stress. Thank you so much once again for the overwhelming response. Most of this blog readers have requested to write a blog post on stress rash. So friends here I am with a detailed post on stress rash which will definitely help you to not only understand this problem in debt but also will help you to get rid of it. This article is gonna be very long indeed. I will try my best to cover almost everything that needs to be covered. Before we start talking about stress rash, please let me know in the comment section which all topics you guys wants me to write next. I hope you would have definitely loved my last piece of writing. In case you have missed some of the idiosyncratic and superlative articles on this blog then please check it out right away by clicking the below links. Have you guys had ever found any rash on your skin after getting stressed out or after a short-term illness? To know the stress rashes we have to first understand what skin rashes are all about? 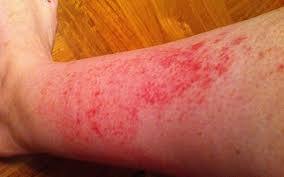 A skin rash is an area of skin that has become inflamed, irritated or swollen. These skin rashes can include skin bumps that look like pimples, itchy skin, or irritated skin. Some skin rashes appear right away while others take time to appear on the screen. One important thing we need to keep in mind is the location, appearance, and color of skin rashes. These three factors play a crucial role in determining the diagnosis and treatment of skin rashes. I will share an incident. This is a story of my school days. I studied in a boarding school and we used to stay in a dormitory. One of my friend who was very good at football suddenly got rashes on his legs just before the final day of the football tournament. Not only my friend but all of us got tensed because he was playing for our hostel and if was not on the field then there was no means by which we can win this tournament. My friend has performed fairly well in the entire tournament with the highest number of goals to his credit. We took him to the dispensary for consultation. The doctor confirmed that it's a stress rash. This is the first time I ever came to know about the term stress rash. In fact, it's a big problem nowadays. 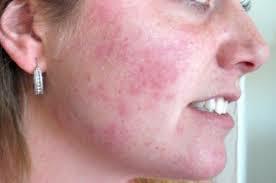 Due to an increase in the stress level, the patient of stress rash is increasing at an alarming rate. According to me, stress rash is a kind of skin rash which comes and goes as per the variation in the intensity of stress. These stress rashes can appear on the different part of your body. Stress can even cause a chemical response in your skin which can make your skin more reactive and sensitive. In some cases, the stress has made the skin harder making healing of skin difficult. I will recommend you to use this Organic Moisturizer and trust me it will help you to get instant relief. We will share with you guys some of the pictures of stress rashes on the different part of the body. In case you get similar kind of rashes on your body then do consult the doctors. Stress Rash on chest-The rashes that comes on your chest because of stress is termed as stress rash on chest. 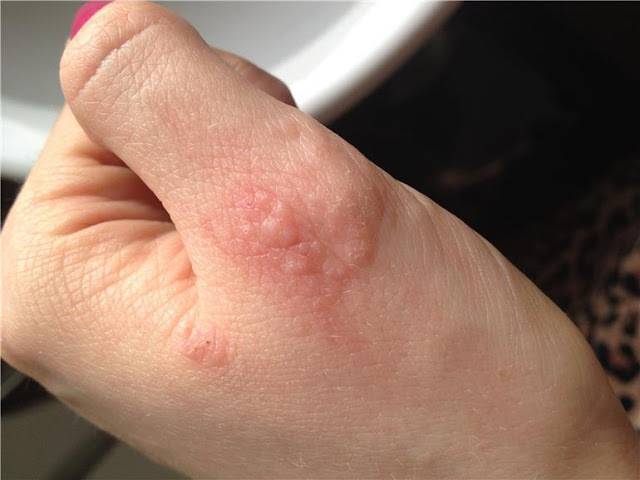 Stress Rash on hand- The rashes that occur on hand because of stress and can lead to other complication like nausea, vomiting, insomnia. In most of the cases, the rashes because of stresses are mostly visible on hand. These rashes if not treated on time can expand to other parts of the body. Stress Rash on Stomach-As discussed, these rashes can appear on the stomach as well. If not treated at an accurate time, these rashes can expand to the different part of the body. 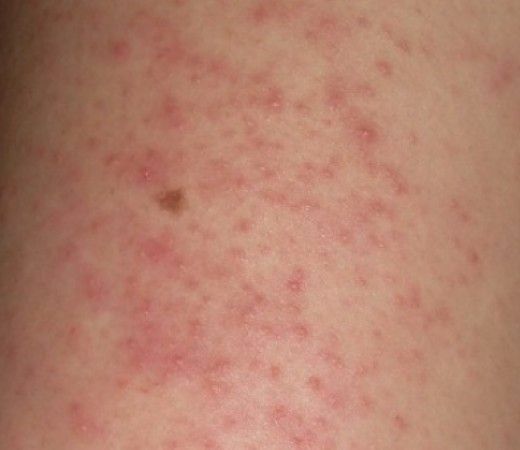 Stress Rash on Legs-The below picture will give you an idea of stress rashes on the legs. These rashes can be a bigger problem and can even damage the skin to a great extent. In case of mild stress, these rashes disappear on its own. I will suggest you, consult the doctor in case you find the rashes coming to your body time and again. Stress Rash on Face-None of us wants to have rashes on our face. It's indeed embarrassing and visible to a great extent. These rashes on the face can even play with your mental psychology. I have seen some guys with these rashes on their face NOT at all feel confident in a regular meeting or a client meeting. We all are very positive about our looks and always try to look better. If something like rashes on the face totally makes us uncomfortable leading to instigating the stress level. Till now, we have only talked about stress rashes and tried my best to help guys in understand this problem. These rashes are not the most talked topic. As the name suggests, these rashes can be only cured of the root if you either minimizes the stress level or completely stop taking the stress. Let's talk some the ways to negate the effect of stress on skin. We know that we can't nullify the stress completely but at least we can try some better way to handle it. Take care of your skin on a day-to-day basis. Make it a part of your routine to give some time to your skin every day. Even though you are tired or stressed, please take care of your skin. Either do yoga or exercise on a regular basis to minimize the effect of stress on your skin. Always try to take out time for yourself even though you have a busy day indeed. It's always good to say NO. Trust me, sometimes by simply saying NO, a lot of stress can be negated. If you are not able to get rid of your stress then don't hesitate in consulting doctor. Don't hide feelings beneath yourself, talk about it, share with your friends. Last but not least, get a sound sleep. Good sleep is a great healer. Autoimmune disorders can affect various parts of your body like joints, muscles, skin, etc. You will be astonished to know that the skin is at the highest risk of getting affected. There are many different types of skin-related autoimmune disorders, including scleroderma, psoriasis, dermatomyositis, epidermolysis bullosa, and bullous pemphigoid. In this blog post, we will be talking about psoriasis and its effect on the skin. The above pics depicts the stress rashes caused due to psoriasis. As the name suggests, psoriasis is a chronic condition that is caused by immune system dysfunction. In the case of psoriasis, the immune system sends the signal to the skin to increase the production of the skin cells at an alarming rate. Remember it's very difficult to track this disease at the initial stage even though it has its own signs and symptoms. Do you know that about 7.5 million people in the United States have psoriasis? There are five types of psoriasis and each type not only causes a different type of skin rash but also appears on different parts of the body. Doctor's are still not clear about the real reason behind psoriasis but most of them blame the generic-factor to be the sole reason for the occurrence of this disease. Since psoriasis looks like other skin rashes so in the initial stage of this disease people get it confused with itchy or bumpy skins. This disease typically responds to skin therapy. It never goes away completely and tends to come back again and again. These therapies restrict the skin to grow at such an alarming rate. 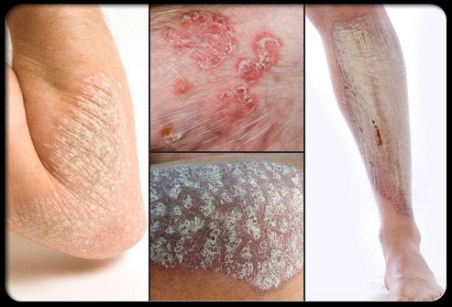 In most of the cases, I have seen people getting confused about psoriasis with a fungal infection named ringworm. Psoriasis can be diagnosed by physical examination. However, to confirm that the disease is psoriasis and not any other disease, a skin biopsy is done. You can use psoriasis treatment medicine to get instant relief. I have taken the topic of "stress rash in the child" because I also want to understand why and how a child will get stressed out at such an early age? The stress rash is generally found in those children who didn't have a great childhood. To understand it let's check this example. A child whose childhood has been in trouble or whose parents don't have a good relationship between themselves may lead to stress in the child. Childhood plays a crucial role in anyone's life and if the experience is NOT so good then it will definitely affect the child's future. As a parent, you need to be very careful and always be aware of your kid's mental health. Keep a regular check of your child's skin and in case you find any rash immediately contact child specialist. I hope you will like this product for kids. If you're getting stressed just because you're NOT getting a sound sleep. Then, you can try a white noise machine to get a sound sleep. Conclusion: I hope you will like this article on stress rash. Stress rash is very common in united states and people are aware of it but when it comes to underdeveloped or developing countries then still the awareness is very less. Please do share your views in the comment section. What does stress do to brain? Impact Of Stress On Mind | Are You Aware?